The Sparkling Shiraz is made from the 2017 Reserve juice that has had 15 months maturation in French Oak. The mixture of new and old oak barrels is used to give an elegant complexity of oak characteristics. By using the Reserve Shiraz, with time it has mellowed like our other Shiraz in the bottle and has become more complex on the nose with earthy characters. Appearance – Brilliant, deep blood red with purple sparkle. Nose – Spicy liquorice and blackberry characters. 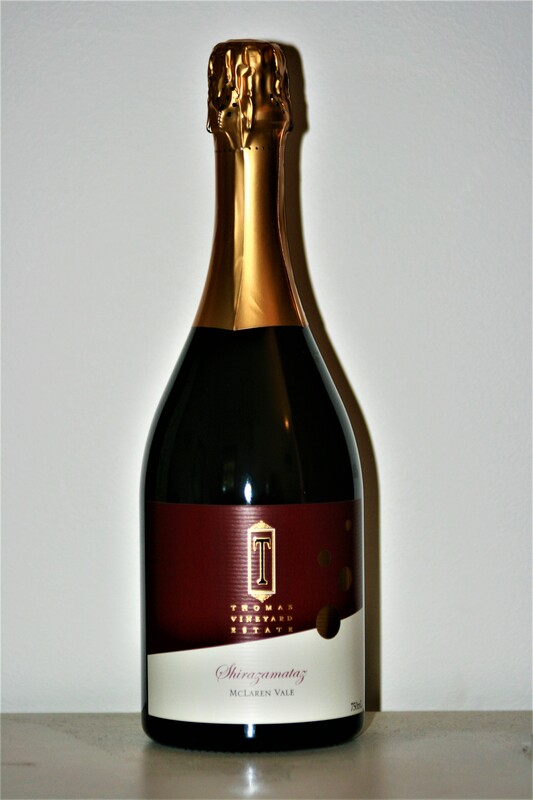 Palate – Intense fruit characters, soft tannins, sweet with a dry finish. Geographic Region – McLaren Vale, the vineyard is on an elevated site, easterly with Bay of Biscay soils, clay and some limestone. Picked – 15th February 2017.